Beauty Cinch-Up Cosmetics Bag Just $4.99! Down From $29.99! Ships FREE! 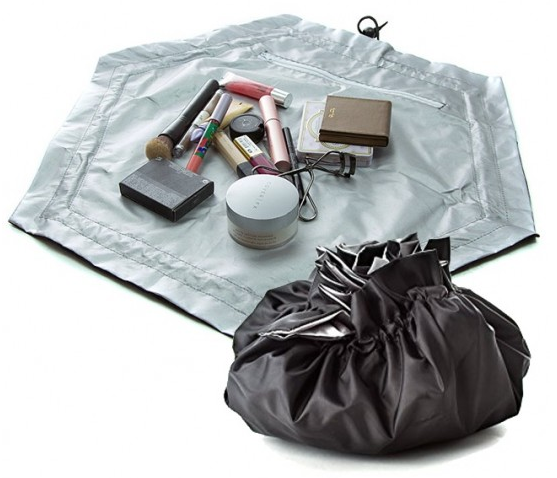 You are here: Home / Great Deals / Beauty Cinch-Up Cosmetics Bag Just $4.99! Down From $29.99! Ships FREE! GearXS has this Beauty Cinch-Up Cosmetics Bag on sale for $4.99 (Reg. $29.99)! Keeping beauty accessories tidy and organized can be difficult when in a rush, but with the Beauty Cinch-Up pouch, any space can become your personal makeup station. With it’s easily-convertible and water repellent design, beauty preparation and cleanup has never been so easy, both at home or at any remote location.